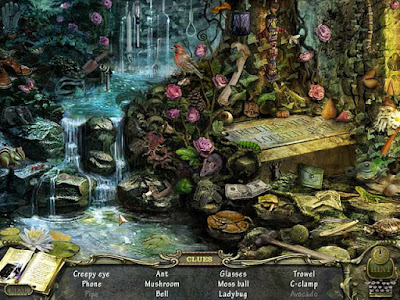 Sequel to the top hidden object game Mystery Case Files: Ravenhearst, this 5th chapter in the MCF series is even better, more polished and a perfect detective game - for PC or Mac. You do not have to have played the previous MCF games to enjoy this instalment, as it is a complete story in itself, with excellent graphics and background music, which combine to create a very spooky atmosphere. The gameplay is also excellent and substantial with plenty of great hidden object games and puzzles that will challenge you. This is a pointandclick detective adventure game that will engage you from beginning to end! * Plot: Emma Ravenhearst's soul is free. But her spirit has delivered a dire warning that evil still lurks in Ravenhearst Manor. As you explore deep inside this cursed estate to uncover the truth of this mystery, you'll find that there are others who need your help to be set free from this place. Feel the floorboards creak as you move from room to room solving puzzles and seeking out the clues in over 150 detailed scenes! * Awards: Winner of the Best Game of 2008! Return to Ravenhearst is a blend of hidden object and adventure gameplay, though the emphasis is on point and click adventure gaming. As you explore the creepy Manor, moving from room to room, click on sparkling items to gather useful clues and info (these will automatically get recorded in your helpful casebook for reference). Click on a shower of sparkles in a location to zoom into hidden object game (HOG), which are untimed. Once you have completed the HOG you’ll earn an inventory item. The inventory items will be used in the adventure part of the game and for solving logic puzzles. And it is the puzzles many of which are very challenging that really add depth to the gameplay of this MCF game. You can skip the puzzles, if you get stuck but a penalty will be added to your timer. You also have hint system to help you but it does take quite a long time to reload. The Return to Ravenhearst game is completely immersive with a dark and eerie atmosphere - from its compelling story, challenging gameplay to the spooky sound effects, music and beautiful graphics. 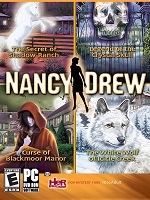 This is a haunting supernatural adventure mystery game and though it is a few years old now, it is still one of my recommendations for the best mystery detective games ever! * My review: If you're looking for a relaxing hidden object game this is not for you. But if you want a top quality challenging mystery adventure game with HOGs and plenty of logic puzzles and mini-games then you'll really enjoy this game. 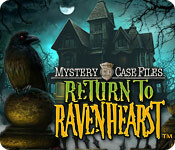 * For free demo/full version download for PC/Mac visit: MCF5 - Return to Ravenhearst. This is the 5th installment in the popular detective series. See my new post: MCF & Ravenhearst Games List. For all the game titles in the series so far. For computer and mobile, in order of PC release.